This 4bed/4bath home is approx. ~2,400 sq. ft. with an attached 2-car garage and gorgeous backyard. The mature hedges, tropical landscaping, and smooth stucco beautifully accent this spacious home. Enjoy tile floors throughout, recessed lighting, dual-pane windows, and updated kitchen/baths. The ground-floor master suite features cathedral ceilings, a private patio, and a loft-style office. The dreamy backyard has a stone patio, lawn, fruit trees, and hot tub. The laundry room is conveniently situated to connect the garage to the main house. In addition to the main house, there is a detached bonus room + 1/2 bath over the garage with a completely separate entrance. This home is centrally located near various Santa Barbara amenities: Hendry's Beach, La Cumbre Plaza, and more! 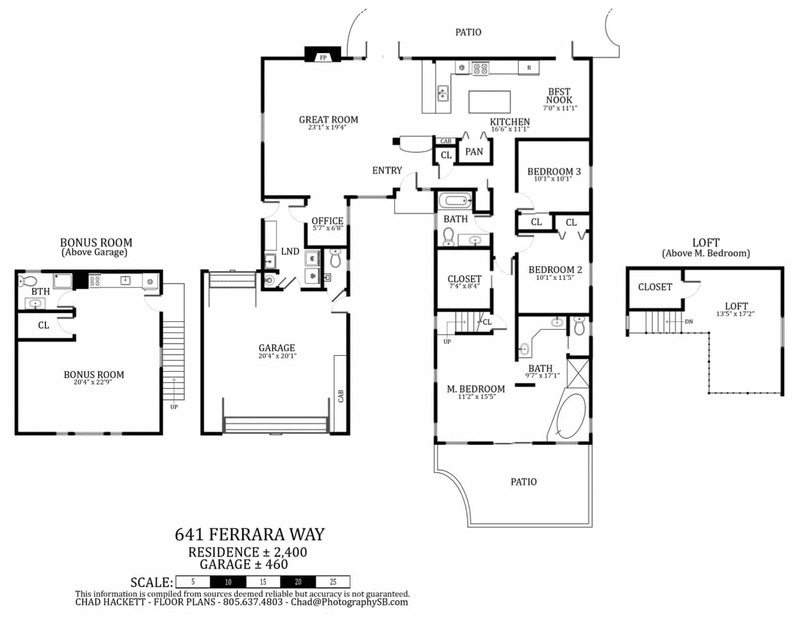 641 Ferrara Way, Santa Barbara, CA from Mike Richardson, Realtors on Vimeo. Location: Santa Barbara "Hidden Valley Neighborhood"
House Size: ~2,400 sq. ft.